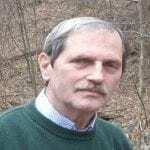 Josh Anderson from ClassifiedAds.com contributed substantially to this article. We thank him for his time and expertise. In the future, the blockchain mortgage may become very common. While we don’t yet have all of the technology, we know enough to imagine its possibilities. If the term “blockchain” seems odd, obscure, and even Orwellian, we can all relax. What we’re really talking about is a new way to handle information. Blockchain is a distributed ledger technology originally created to track transactions in Bitcoin and other cryptocurrencies. It’s decentralized, which means that each user gets a copy of the ledger, and the integrity of the ledger does not need to be maintained by a central source or authority. Updates are recorded and downloaded automatically as they occur, so everyone has the same information. Individuals use private keys to digitally sign transactions and information on the blockchain. Cryptography makes these signatures impossible to forge or reproduce by other users. Additionally, each user has a public address, linked to his or her private key. This functions like a street address or email. It is safe to share with other users or the public at large, and it can be used to both send and receive. Only the users who own the private keys associated with a public address can execute transactions from that address. This allows transactions on the blockchain to be securely tied to an individual’s identity. Property records could be stored on a blockchain, and the public can trace the home’s ownership. Anyone can view liens against the property in chronological order. This is important because liens are paid on the basis of priority. For instance, few lenders will finance a property with an existing tax lien. That’s because if the home ends up in a foreclosure sale, the tax lien gets paid off first. Only if there are enough funds left over does the mortgage lender get fully repaid. 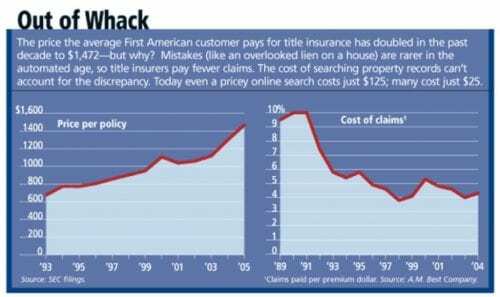 According to a Forbes article, title insurers are paying out less and less in claims, largely because of technology advances. Yet, the premiums are higher than ever (see infographic below). With blockchain mortgage technology, it becomes quick and easy to establish a chain of title and to show who owns a property and whether any liens are outstanding. Besides property records, it is possible to tie ownership of physical assets to information stored on the blockchain. Users could digitally buy, sell or trade without a trusted third party. That could eliminate the need for expensive title insurance and escrow services. Currently, it’s nearly impossible to transact real estate without those things. Blockchains can not only store information, but they can store code as well. This code can execute complex transactions on the blockchain and automatically respond to events or inputs. This stored code is called a smart contract. A smart contract may allow one event to occur only once certain pre-established conditions happen. — an app, perhaps, that automatically lets you pull the trigger on a home purchase when you meet certain criteria. With a smart contract, you buy the insurance, the insurer updates the record, the contract automatically executes, your lender funds your mortgage and the property changes hands. One of the most difficult issues in real estate is a situation in which a single property draws multiple bids. While bidding against each other, competitors for property don’t want the details of their own offers “out there” for others to see and use against them. Smart contracts could manage hiding of price, contingencies, and other details while disseminating the fact that there are multiple bids. In the future, you may even have a blockchain mortgage. 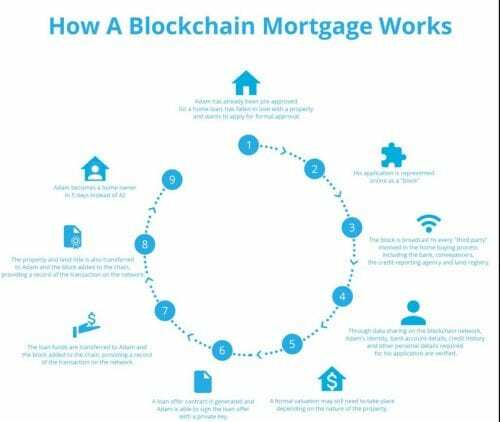 The blockchain would secure information digitally, making mortgages easy to sell to investors. That’s because it provides a clear trail showing each transaction, and it is easy to find mortgage and repayment information. Every stage of a home buying and financing transaction could be part of a blockchain, increasing speed, reducing fraud and lowering costs. In World War II, the Allies cracked the so-called “unbreakable” German Enigma coding machine. While breaking the cryptography underlying blockchain technology is nearly impossible, information security is still an issue. The main risk to users is that hackers attempt to steal private keys through malware or phishing attacks. Users who rely on cloud services to store private keys may also be vulnerable to large-scale data breaches. Yahoo announced that a massive data breach hit three billion user accounts in 2013. For this reason, keeping yourself secure from hackers will become an even bigger priority when blockchain technology becomes more mainstream. 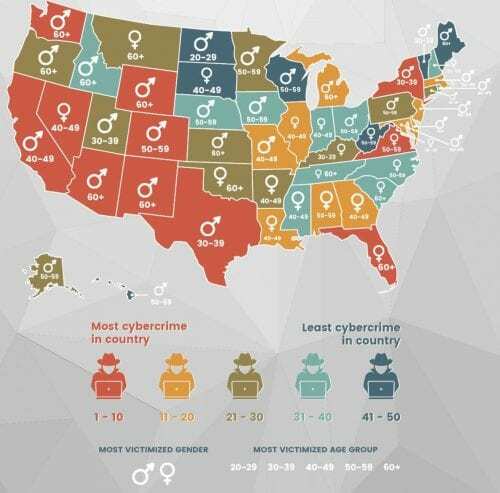 Note that your state, gender and age may impact your vulnerability to cybercrime. It’s up to you to look after your online security by conforming to best practices. Indiana University offers some great tips for maximum online safety for individuals. Finally, blockchain raises regulatory issues. We carefully oversee such things as title transfers and electronic signatures, so how are we to regulate blockchain records? 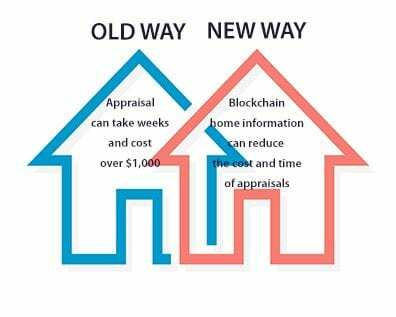 Blockchain technology, once realized, will be a big deal for homebuyers. Imagine a mortgage approval that you could carry around in your wallet or on your smartphone, updated in real time, that you could pull out and use to buy a house as quickly as you purchase a car today. Is it really that hard to imagine a blockchain of your financial history, constantly updated every time your employer pays you, or you make a bank deposit or withdraw money, your investments increase, you charge your credit card or experience a change in your credit score? Mortgage lenders look at all of those factors when deciding how much to lend you. In theory, you could have an app that allows you a certain amount of credit to buy a house, and that amount would constantly change, depending on your debts, interest rates, income, and credit rating. You’d never have to fill out a mortgage application. Just choose the lender offering you the best loan terms. And the house? It might have its own blockchain. Today, your county has an assessor who assigns a value to your home to determine your property taxes. Your county has a clerk who records liens against your house, like your mortgage, unpaid taxes, or mandated assessments. Insurers also keep records on the property — the Comprehensive Loss Underwriting System (CLUE) reports events like flooding, theft, or system failures — any time you file a home insurance claim. You may never need to buy title insurance again, or pay for an expensive appraisal when a “desk appraisal” will do the job. Your house could have its own value estimate, updated in real time, ready for a sale or refinance. Buying a home could someday be nearly as easy as buying a shirt. You look at a few, compare their prices and features, whip out your mortgage approval and buy an accurately-priced property.